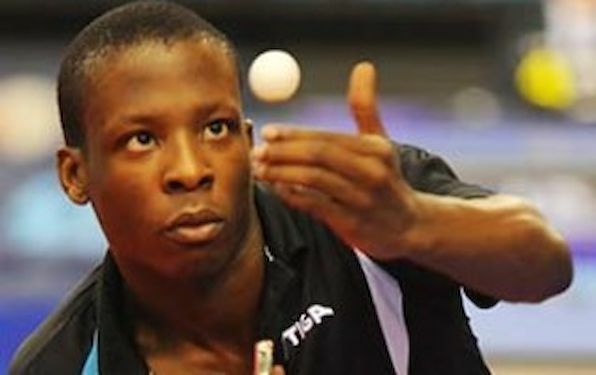 Abdel-Kader SALIFOU of France and Russia’s Maria DOLGIKH won the respective Men’s and Women’s Singles titles at the Egypt Open Euro Africa Challenge Series in Cairo. Victory meant they collected the first such titles of their careers. At the final stage Abdel-Kader SALIFOU, the no.3 seed, accounted for Spain’s Marc DURAN, the no.4 seed (11-7, 7:11, 12:14, 11:3, 11:7, 4:11, 11:5); having defeated the host nation’s Omar ASSAR, the no.2 seed, in the penultimate round (8:11, 11:4, 11:7, 11:9, 11:8). Meanwhile, Maria DOLGIKH, the no.4 seed, overcame Hungary’s Rita KERTAI in the semi finals (11:8, 11:8, 11:8, 11:8) before clinching the title at the expense of Egypt’s Dina MESHREF, the no.3 seed (11:7, 12:14, 11:8, 11:7, 11:7). In the counterpart semi finals, in the Men’s Singles event Omar ASSAR had beaten Turkey’s Ahmet LI, the no.5 seed; whilst Dina MESHREF had ended the hope of Dana CECHOVA, the Julien INDEHERBERG clinched the title in the U21 Boys Singles Event. In the final he overcame Omar BEDAIR of Egypt. Yana NOSKOVA of Russia suffered by the hands of Dina MESHREF in the U21 Girls final.